In surfing, after you catch a number of waves in a row, the entire session almost instantly changes. You stop thinking about what you’re doing and it’s almost as if you’re dancing with the waves. Even if the waves are small and short, catching several in a row gives you a sense of progress. Your instincts get sharper, and all the details of the environment become heightened. A high wave count surf session creates both a visceral and visual sense of progress. Progress becomes a precursor to flow. 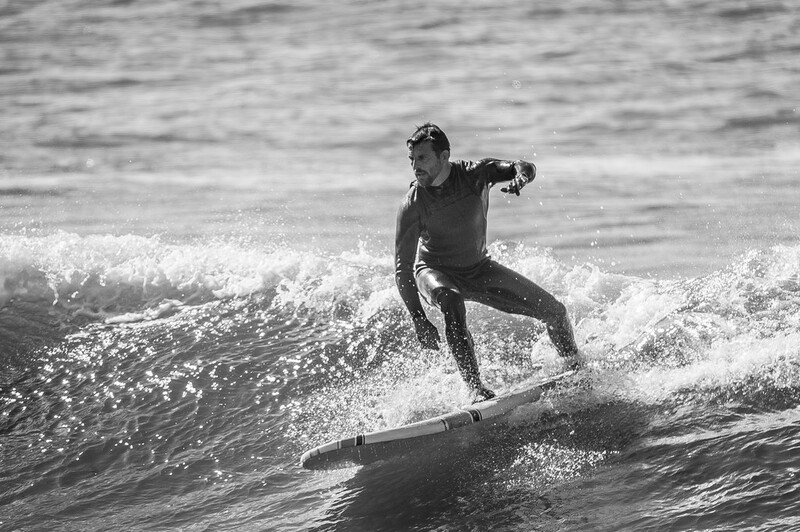 The ability to leverage visible progress to create flow is not limited to people who surf or participate in action sports (although it is probably more fun if you do). Through her research and her book, The Progress Principle Harvard professor Teresa Amabile discovered that visible progress caused people to feel a greater sense of meaning and higher levels of satisfaction with their work. If you haven’t seen it, her talk at the 99u conference explains these ideas in much greater detail. Any one of us can create mechanisms for visible progress. So let’s talk about a few. 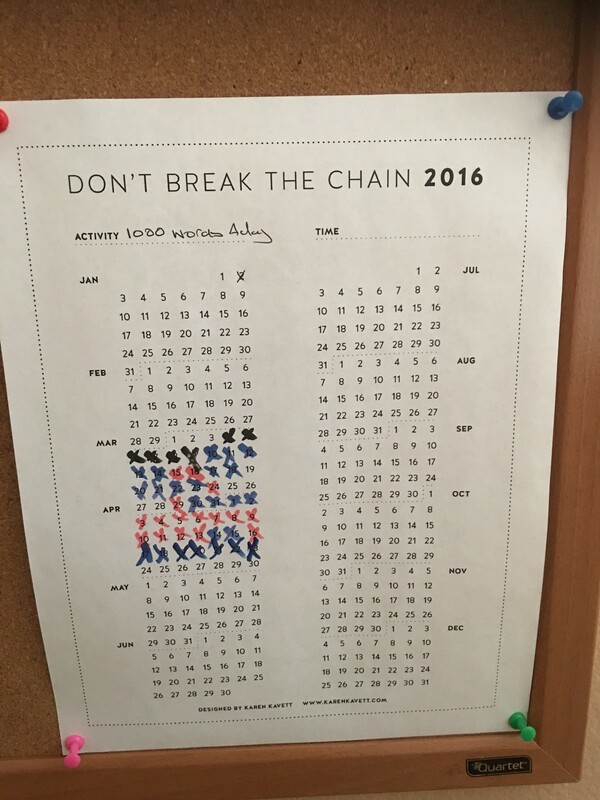 Even though I don’t really have to think about my 1000 word habit anymore, I still have a don’t break the chain print out on my wall. Seeing it serves as a constant reminder, kind of like the ones that James Clear recently described in this article. As you can see, I missed a few days. And fortunately, Karen Kavett made it available as a free pdf download from her web site. If you use any of these habit tracker apps, you’ll notice that they have visible progress mechanisms built right into them. This not only makes the app itself more habit forming but you more likely to use it. Calm for Meditation: After years I finally developed a daily meditation habit. I attribute that to a couple of things. My mentor Greg said to me in an interview “human beings are the only species that have the ability to pause between stimulus and response.” The key to developing our ability to pause was meditation. 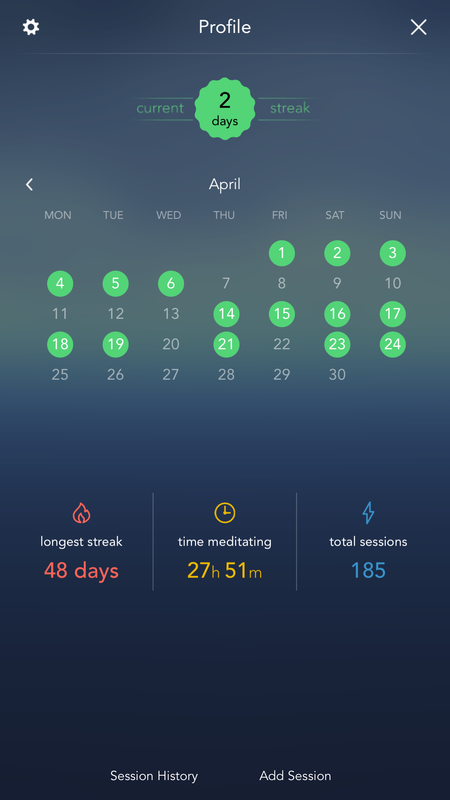 So I downloaded Calm, and it doesn’t hurt that I get a daily reminder of my visible progress. A few months ago my friend Steve Kamb Wrote a book called Level Up Your Life. One of the things that he did as part of the launch was enable you to create your own video game character, decide on various quests, and keep leveling up. Also, check out his interview on The Unmistakable Creative. Idonethis might be the path of least resistance when it comes to visible progress mechanisms. At the end of every single day, you get an email sent to you asking you to reply with what you got done today. So if you check your email, this just becomes one more thing to reply to. It’s something we’ve used at Unmistakable Creative ever since we discovered it. Even though discipline, the elimination of distractions and deep work are really powerful, visible progress is really the precursor to flow.